The sectional sofa Chicago is a visually attractive ensemble of 3 and 2-seater for those who appreciate comfort and flexibility. Optionally we offer a sleep function for the two-seater. To purchase couch, chair and a guest bed at once. The structure of individual elements gives you the ability to adapt to different situations. At the same time every single part of the sectional sofa offers the comfort of a full-blown residential landscape. This starts with the high-quality spring upholstery and includes multifunctional headrest with a. 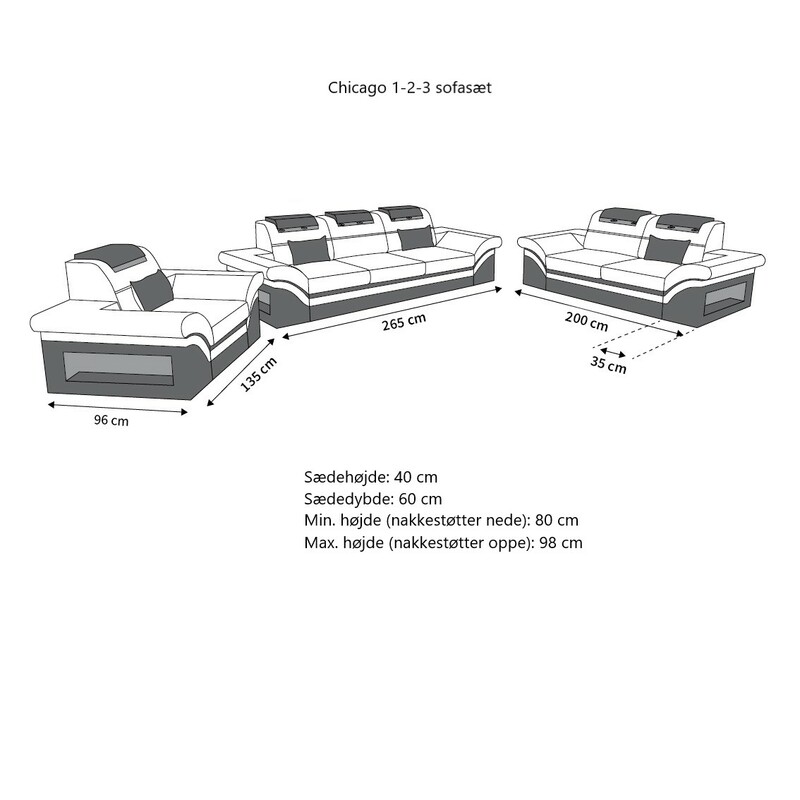 For drinks or reading material you are spacious storage compartments in the individual sofa elements available. The LED lighting creates a modern and stylish ambiance. There are various references to choose from. Among them is particularly thick and incomparably comfortable buffs. What relationship you choose, the sectional sofa Chicago is not only practical and comfortable but a real gem - on the whole or any part of itself.